Last weekend I spent five hours building my first landing page from scratch. I’m not a very good coder and in the past I’ve always used a designer to help me out so it was a real baptism of fire. Despite my many, many missteps I made it out of the end with the highest converting landing page I’ve ever worked on, including those with other designers (here’s the page). In this guide I’m going to walk you past all of the pitfalls that ate away at my time so you can go straight to the things that worked. There’s even a few options that will help you make a landing page in less than 30 minutes. For the past few months I’ve been working hard on a marketing bundle that represents exceptional value. 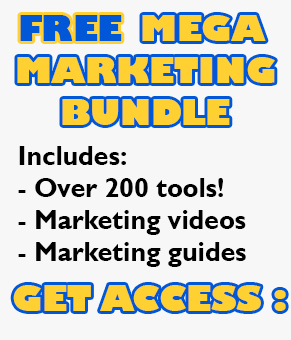 It includes videos, guides and a detailed breakdown of the marketing tools that changed my life all for the low low price of absolutely free. One of the first jobs I ever had was a temp job inputting data from paper files into a digital system. It wasn’t the most stimulating job so I made a game out of how quickly I could input the data whilst getting no errors. Being young and eager to please I also thought that completing the work quickly would please my superiors. So I rattled through the files as quick as I could, finishing the work a couple of days early. It turns out my superiors were pleased but not for the reason I wanted. The work was completed early so there was no longer anything for us to do. They let us all go early without pay. My haste to do an efficient job had cost me a few days of work. It’s easy to write Inbox Zero off as a gimmick. I did for years, seeing the cries of “Inbox Zero” from people who had successfully whittled their emails down to nothingness as the strangest of achievements to be proud of. After all, having no emails in your inbox doesn’t mean you have no work to do. It just means that you’ve moved things around in a way that gives your brain a satisfying rush of knowing something is off your too do list. Out of sight, out of mind. But then what happens? With every email squirrelled away you’ve no idea what you’re waiting on, what you need to do next or where projects are, without traipsing through all of your email folders.